I have always been more auditory than visual. In class, I would listen to my teachers, ask questions and remember what I heard. It was not much use giving me a book to read for knowledge (although I loved reading stories). I would ask some who had read it to “just tell me” what they got out of it. At the end of high school, I returned from 6 months as an exchange student abroad and had to prepare for some final exams. I got Ronit to read me her notes (she had superb notes, mind you, and I certainly enjoyed being with her and listening to her) and passed the exams with annoying success for those who had been in class for 6 months prior. When I got to university, I had to read and write a lot more and was surprised to get splitting headaches after one page. After that, I got very little out of continuing to read, not to mention it was torture. Again, I got through it by spending a lot of time with my study group and engaging them in discussions about the material, as well as by always attending lectures. Then, I decided I would have my eyes checked. It turned out I had slight far-sight and slight astigmatism, so I got a pair of glasses. I could see better with them, but I was still tired at the end of the day and nearly always had a headache in the evening. After a few years, I decided not to wear my glasses anymore. I did eye exercises and forced myself to read without glasses for a couple of months while on a long break and never put them back on again. Except I was still reading very slowly and my eyes would be the first part of me to “call it a day”. A couple of years ago, I found out about Behavioral Optometry while looking for a way to help my son see better in class. Recently, I decided to find out if there was anything this field of science can do for me too. I went “to have my eyes checked”, but Peter the optometrist kept saying to me, “We don’t see with our eyes. We see with our brain, so you’re actually having your brain checked”. He got me to read from the usual letter chart and then tried on a few lenses, while asking questions about my lifestyle and the kind of vision I was experiencing. I told him it was as if the letters were floating in front of my eyes and I could not “get a lock” on the text I was reading. “The lines seem to be floating, like little waves”, I said. He slipped the green lens into the special lens-holding-thingamajig. “How about now?” he asked. I was amazed! The lines lay there on the page and hardly moved anymore. “Much better”, I said, “The lines have almost stopped moving”. Peter tested a purple lens, then a blue lens and then some combinations of lenses, but the green one seemed to do the job. I got the same results when the lines were at different angles and intersected in the middle of the page. “What’s so special about this lens?” I asked him, “When you put that green lens in front of my eyes, it’s like my brain relaxes”. “Well, there are two parts to our vision – the fast, inaccurate peripheral vision and the slow, focused central vision. When we read, the fast vision jumps to the next part and then the slow vision reads it. Some people’s brains are sensitive to certain wavelengths of light and the two parts of their vision get out of sync”, Peter explained, “Your brain works very hard to compensate for this, but it’s very likely you don’t remember too much of what you read and have to re-read a lot”. “It’s a form of Dyslexia”, Peter surprised me, “Luckily for you, I’ve used tinted lenses to help many people who thought they had Dyslexia. They put on their new “dyslexia glasses” and all of a sudden they can read almost like normal people”. Did you get this?! Tinted lenses can help with Dyslexia! “I have to tell the world about this”, I thought, and here we are. As it turns out, there is even a name for this method – Irlen Method. On the websites below, you can see demonstrations of how a dyslexic sees. If this is you, this will help you “zoom in” on your specific issue. If this is your child, the sites will give you ways of getting to the bottom of their problems and … overcome them! If this helps you or your child, please come back and post your story in the comment box. There is nothing more inspiring and encouraging to other parents than genuine testimonials of parents who have been in their situation and gotten out of it. Irlen Syndrome is NOT a type of dyslexia, it is a condition on it’s own. It does have a co-occurence rate with Dyslexia. “Irlen Syndrome is thought to affect about 50% of students with specific learning difficulties, such as dyslexia.” (Askus.salford.ac.uk, 2016). It is sometimes referred to as; visual stress, Scotopic Sensitivity Syndrome, or Meares-Irlen Syndrome. Any other suppliers are more likely to use colorimetry rather than the Irlen Method, and to go through the whole Irlen process it costs around £300. Where can I purchase a pair? My son did his glasses recently and it looks like every shop you go for glasses, if you ask them, they will be able to test this. I am not sure you have to have a specialist. Louise, thank you for sharing. I’m sure you are now increasing the chances of other parents finding similar solutions for their kids! I have been amazed at how many professionals have implied that my child is lying. GP’s were skeptical, optometrists were dismissive, and ophthalmologist blamed mysterious emotional/psychological problems when their machines and tests could find nothing ‘wrong’. It was an overwhelming relief to find the Irlen centre who could understand the visual experience and offer a solution. They were the only professionals who actually asked my child what the world looked like, rather than demanding an answer to the dreaded eye chart. The Irlen consultant said “I can’t see through your eyes. If you can explain what you see, I can try and help you”. To be believed and not belittled is a good thing. The joy on my daughters face when she found the colour combination that worked was priceless. May your success inspire others to try those “weird” solutions to their problems. I just received my bright pink glasses! They are amazing, I can get through a day of school wearing them without having to lie down in sick bay! I love them and they saved my life. I payed $690 but they are worth every dollar!! I can read so well, my letters still get a little confused…but I will still work on it as I have severe dyslexia…thankfully, computers now have spell check :)! I know at this day and age, nothing can stop from being successful if you are under right guidance. Life is tough but can do it. I first want to state that “dyslexia glasses” are a term used to define a product that is not a part of the Irlen Method. Although Hayes has no research supporting his claims about his dyslexia glasses, the Irlen Method has over 20 years of published research showing that Irlen Spectral Filters and overlays improve reading rate, fluency, comfort and comprehension. It is particularly offensive that blogs allow Hayes to publish outright lies regarding Irlen’s success rate, claims, screener performance requirements and just about everything else. His statements regarding Irlen are totally bogus, with no basis in fact. Irlen does not need to defend her method. She has the research, over 100,000 happy wearers of Irlen Spectral Filters, over a million children using Irlen Overlays, 7,000 educators trained in the Irlen Method, and 133 centers in 34 countries. Go to http://www.irlen.com and see for yourself. @Sandra thank you for your clarification, especially the reference to Maino’s post. The post title was mainly due to the way I discovered what color can do for me. I had no intention of claiming the glasses were meant for dyslexia. Since posting about these glasses, I’ve had a bit more time to get used to them and have done a full assessment by an Irlen specialist. I intend to post my personal findings at a later stage, when all is said and done. Generally speaking, blogs do not censor comments for correctness, because by definition, they are a matter of opinion and must be read that way. When I moderate comments, I allow anything that is relevant and I post it on behalf of the person who wrote it. If you read it again, you’ll see John’s comments go against what I say in the post and I still approved it, because the Internet is about democracy. I have approved your comment for the very same reason. If there is anyone out there with PERSONAL experience using color overlays, tinted glasses or spectral filters, please join the discussion and share your views with us. Ultimately, I’d like readers to be able to make a clear (excuse the pun) decision for their kids’ sake. John, thank you for the additional information. It is certainly a good idea for parents to check carefully before buying any glasses for their kids. Having said that, my optometrist claims a very high rate of success with “reading problems” (his words) using tinted lenses. Of course, glasses cannot solve every problem, but I’m sure many can benefit from wearing them and that’s what I aimed to achieve with this post. It’s good to know these glasses can be purchased online for those who don’t know where to find someone like you. Your information all seems to lead to the Irlen method and her tinted lenses. Have you read what the links you have posted to her site? Her lenses claim to be the solution for all learning disabilities. The Irlen method has always had problems delivering what it promised. Until 2005 she was keeping her claims to helping people with visual problems see and read better. the AOA American Optometry Association wrote a position paper on dyslexia and vision that said Irlen hadn’t really proved her glasses but there might be something in her claims. The biggest problem with the Irlen method ( even in 2005) was the high failure rate and lack of any guarantee. Sometime after 2005 Irlen and Visual therapy both started claiming to be the answer for all learning disabilities. No research, no identified reason for why either method should work. Basically just a call to all desperate parents to pay thousands of dollars on the chance that something would work . 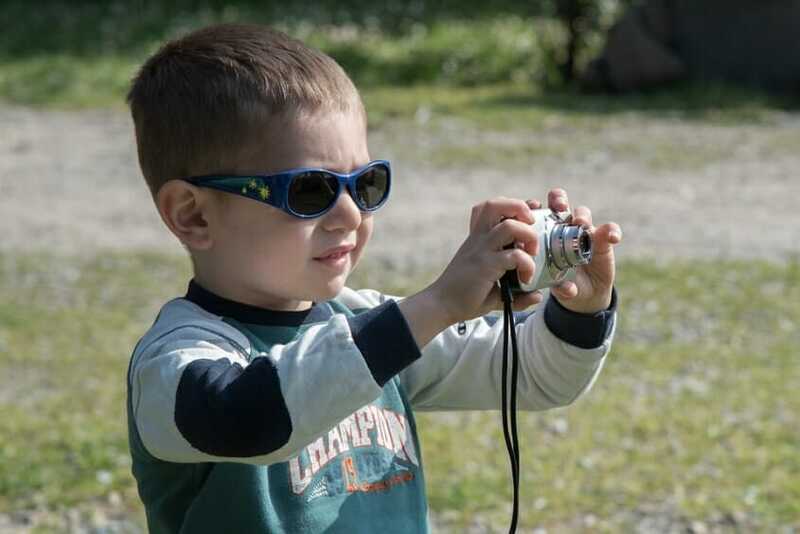 By 2009 Pediatricians and eye doctors got together and wrote a joint statement directed at the Irlen Method and Vision Therapy called Vision and learning disabilities are not related. I sell See Right Dyslexia Glasses that have a small niche customer base of people with visual problems that make seeing text difficult . The criteria of who will benefit with my glasses is simple. If you can describe visual problems that make reading difficult , my glasses remove those problems. My glasses have a money back guarantee and do not require a personal evaluation. If the occasional person with ADHD or autism and visual dyslexia problems tries my glasses the will have their visual problems removed and retain their ADHD or Autism symptoms. @nymom thank you so much for sharing. May our stories inspire parents to improve their kids’ lives everywhere. i always love reading topics like this, good job on this one….